Born in Franklin Grove, Illinois, John Conner became an impressionist painter of desert landscapes, and he also did portraits and western genre. He was a descendant of Susan B. Anthony and portraitist Gilbert Stuart. John Anthony Conner served in World War I, then married and moved to Los Angeles where he worked in the art departments of movie studios including MGM. 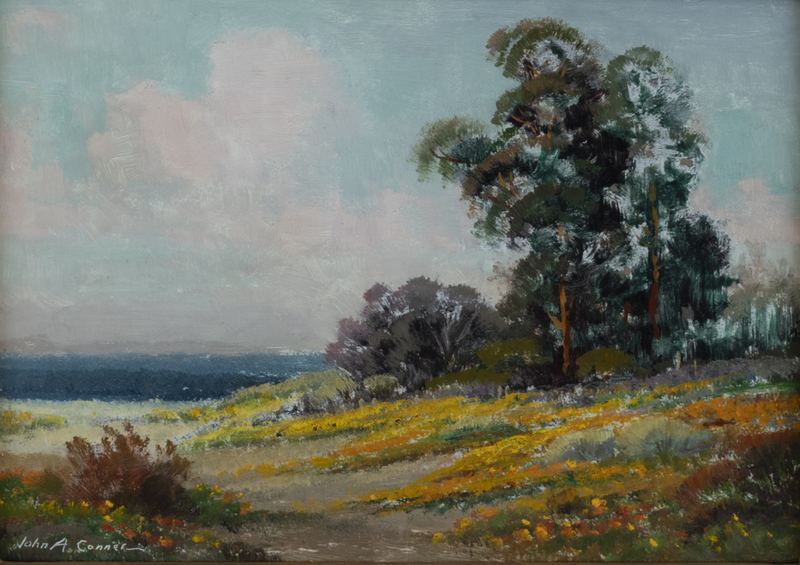 He was a resident of Eagle Rock, and as a fine art painter, did work that included desert landscapes, seascapes, coastal views, missions and cowboy-Indian genre.